EVERYDAY USED BOOKS TO RARE EARLY PRINTED VOLUMES & MANUSCRIPTS. Specialist in Cosmology, Ancient & Medieval History, Religion, Philosophy and Psychology. Along with the above subjects I'm always buying children's books (all ages and periods), and books for parents and professionals (teachers, therapists, social workers, etc) and all educational books and materials for my shelter libraries (see my literacy site), and always taking donations of books (thank you!). Especially wanted are books for young readers, books about play, art, music, poetry, psychology, self help, parenting, and nature study. If you would like to receive the next print catalog and don't order from this current one (No.90), then please send me your email and mailing address with a brief note regarding your interests. Thank you. 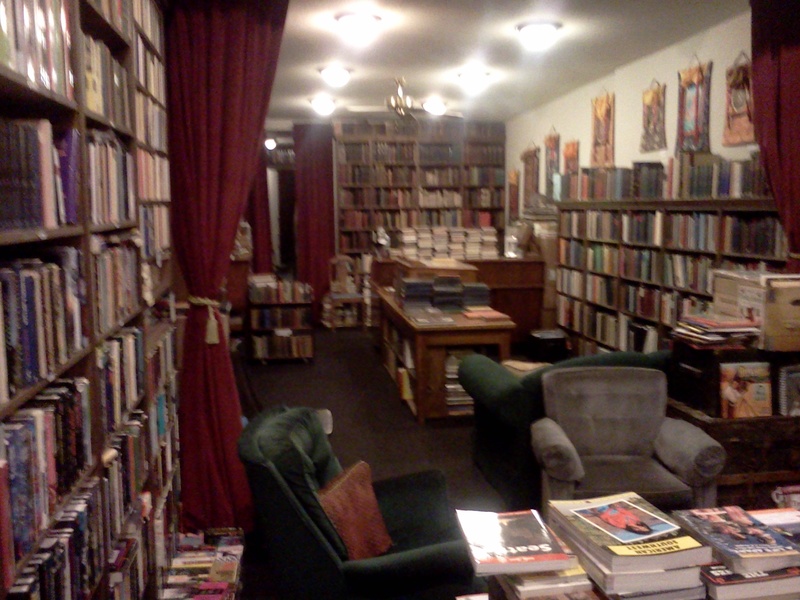 (NB: With the unfortunate extirpation Fields Book Store, (a friend since 1976 and sadly gone after 81 years in the very same storefront), I moved all my antiquarian books and sets from there to my apartment). In 1981 I converted my studio/art gallery at 520 Waller Street, San Francisco into a bookshop, supplied partly from my own collection and partly from the library of my father Leif Krough Pratum MD, and from books we just found on the street all the time. 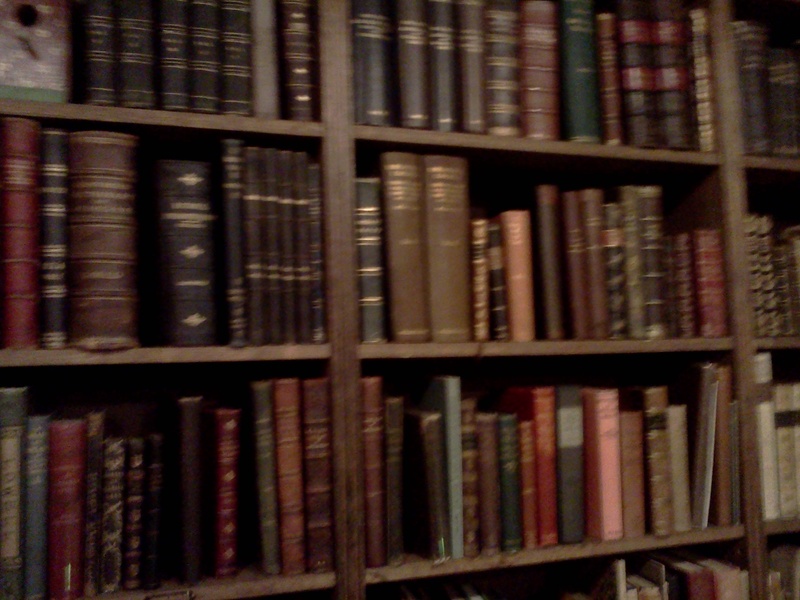 It was appropriately named the Mantic Hands Book Gallery. Always with an eye out for a bigger store and for promoting local artists I moved in 1982 to a huge Victorian storefront at 518 Haight Street (near Fillmore) in the historic Haight Fillmore Building, located just around the corner, and built a beautiful bookshop and separate art gallery where we held openings and events. That store was first named Bibliomancy Book Gallery, but since nobody could remember the name it became The Haight Fillmore Book Gallery. In 1985 I sold it to Haight Street Books then spent the next few years working in some of the best used/rare shops in San Francisco: Maelstrom, Albatross Book Company, and Valencia Books, all the while buying as many books as possible. After the Loma Prieta earthquake in 1989 I moved to Sonoma County where I was to remain for 12 years, first to Glen Ellen to a little house in the country with a white picket fence. 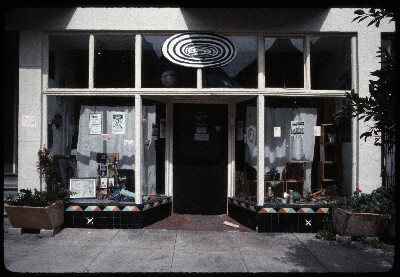 In 1993 I opened another store, Diluvian Books in the small town of Boonville, in Mendocino County, then moved to Boyes Hot Springs, then finally settling down in one place for five wonderful years and opening The Pratum Book Company on the plaza of the beautiful town of Healdsburg, about one hour north of the Golden Gate. 2000 saw the ascent of Amazon which seriously cut into my sales, that was a very difficult year and I had to close the Healdsburg shop and move into a large warehouse/bookshop in Richmond on Central Avenue where I opened The Point, and built magnificent shelving 17' high and filled the space with a huge stock of books I slowly purchased from a series of bookstores that were going out of business. In 2006, after selling most of that shop to Powell's in Portland I moved into this cavernous apartment in Oakland right off Lake Merritt where I've spent most of my time teaching and working with homeless children in Oakland's shelters and in foster group homes. Now I continue that literacy work but have resumed bookselling, visitors by appointment. My Stock at the Moment, 2015. About 1,000 bibliographies and bound catalogs on alchemy and Hermetic science, offered as a group. 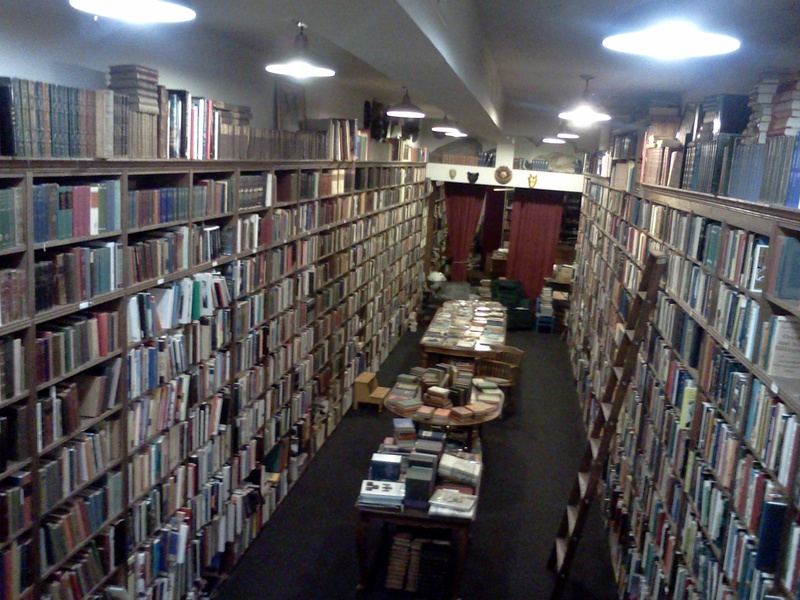 About 5,000 bookdealer catalogs, mainly of antiquarian, scholarly and first edition books. My plan was to issue a "Catalog of Catalogs" and I still might get around to that someday, many of them are from the 19th century including a few hundred older Quaritch and Maggs Brothers catalogs but also obscure, common, boring, and unfashionable catalogs, (Goodspeeds, William H. Allen, Finch...). I'm interested in selling them together. At the moment they are in boxes in storage and can't be viewed except for a few hundred of the more interesting ones at my apartment. 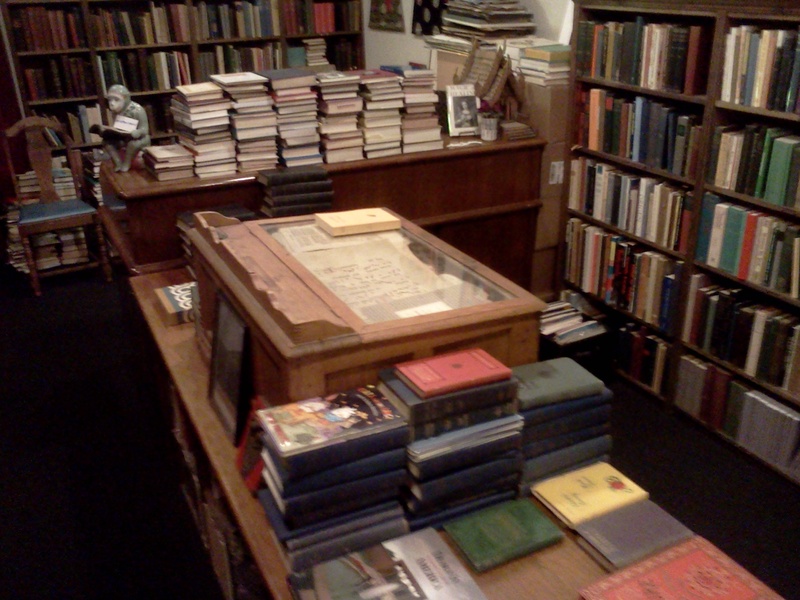 Quite a few nice antiquarian titles on old science, literary criticism, folklore, books in Greek & Latin, Americana, William Blake, freemasonry, and of course many books on philosophy and religion, individually priced. A world class collection of about 300 books on Shakespeare, Bacon and the 'authorship' question. This is scattered in a few locations (in storage), not cataloged and still growing. 150+ tarot decks many from Italy, priced individually, $50 - $1200. A fine collection of bibliography, paleography and books about books many of which are from the library of the famed manuscript dealer Bernard M. Rosenthal, who just turned 93 a few months ago here in Berkeley. In storage I have all kinds of books, some rare, some 19th century non-fiction in many subjects, letters, MSS, (including a few illuminated MSS), many large sets, fine bindings, ephemera, catalogs and scholarly journals for sale. All told I have enough to open another shop, something I would consider if I had a partner. Old Catalogs of Mine Available. I have unearthed half a dozen boxes of them so let me know if you would like some and I can throw them in with your order, no charge. 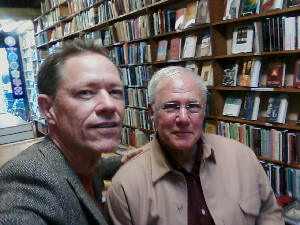 Myself (left) with the famed Michael Goth, founder of The Globe Book Shop, of Los Angeles, photographed while browsing the shelves in Fields Book Store in San Francisco, 2008. Above is a photo, c.1981, of my very first book store, (note the spiral sign!) at 520 Waller Street, near the corner of Steiner, in San Francisco. 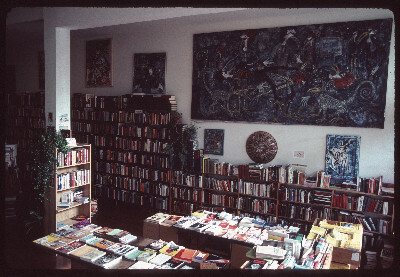 It began as an art studio but after three years of trying to make it there as an abstract painter and later as an art gallery I filled it with books and opened in 1981, calling it the Mantic Hands Book Gallery, mantic being the art & science of divination. 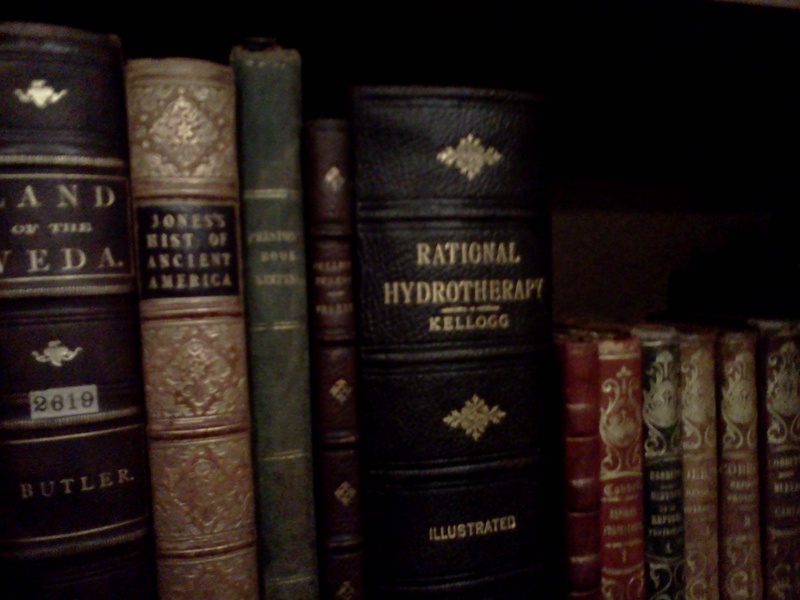 A lot of the stock came from the psychiatric library of my father. But we also found amazing books that had been thrown out by the San Francisco Public Library in a now infamous debacle if which they finally admitted sending 300,000 volumes to the dump. Around 1982 I moved to 518 Haight Street right off the corner of Fillmore. 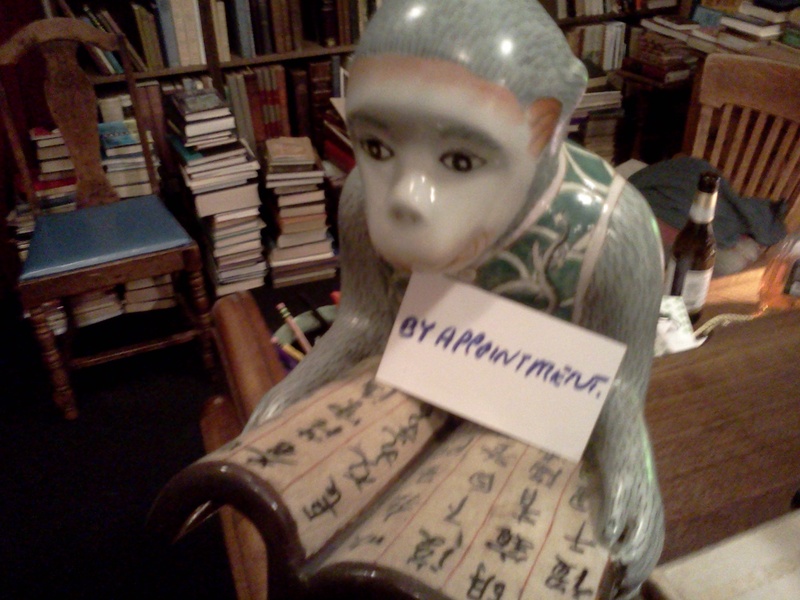 I renamed the business Bibliomancy Book Gallery. At the time my main specialties were art, metaphysics, philosophy, and recent literature and poetry. 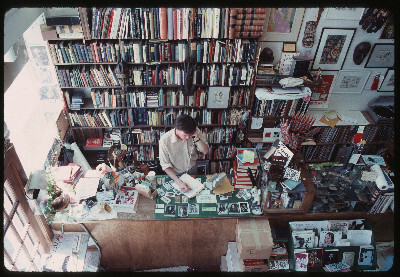 Above is a birds-eye view of the front counter of the shop on Haight Street, 1984, with me on the phone. Inside 518 Haight Street, circa 1985. The large painting on the wall is by Scott Williams. His remarkable art can be viewed at www.stencilarchive.org. Below are a few shots of the back of The Owl and Company Bookshop, which I built, it opened in 2011. There I had many books consigned, but those books have now been moved to my apartment.